Young Galvanizing, Inc. recognized again for excellence in galvanizing! PNC Park. 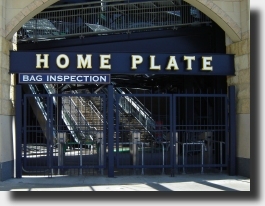 Home of the Pittsburgh Pirates. Quality through experience! For over 40 years Young Galvanizing, Inc. has consistently provided the highest levels of zinc coating quality as well as service, receiving numerous awards and a reputation for quality within the galvanizing industry. The reason for this reputation is experience. Our managers and foremen all have at least 20 years of experience with our company and a majority of our workforce has more than 10 years each. This cumulative experience adds up to a better product for our customers. Copyright © 2019	Young Galvanizing, Inc. All rights reserved.